BENNETT J. Bruce Current Machine Cancellations in the United Kingdom. 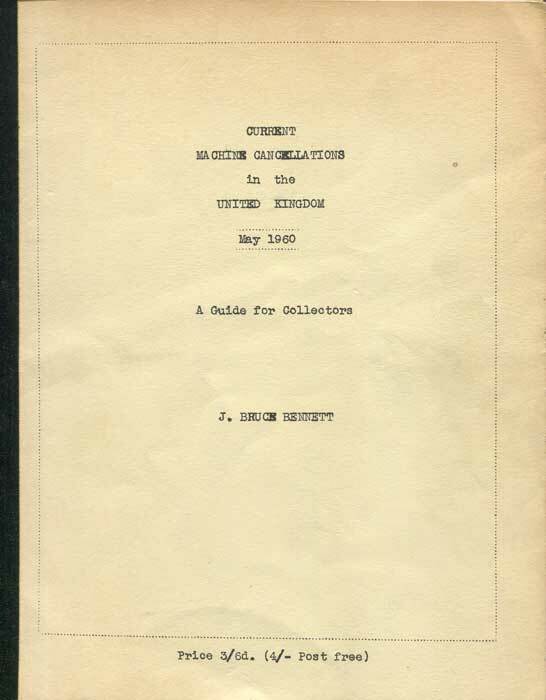 May 1960 - A guide for collectors. 20 + 1pp amendments. 1st ed., clean in card covers.